WHEEEWWWWWWWWWWWW. That is the long breath I am letting out ’cause I finally get to show you these! Do you have ANY idea how hard it is to make stuff and NOT show pictures of them for like three or four weeks, because it might ruin the surprise?! Okay, if you are a blogger, and especially a crafty blogger, and I know many of you are, you do have an idea because, hello, you’ve been doing the same thing this month! 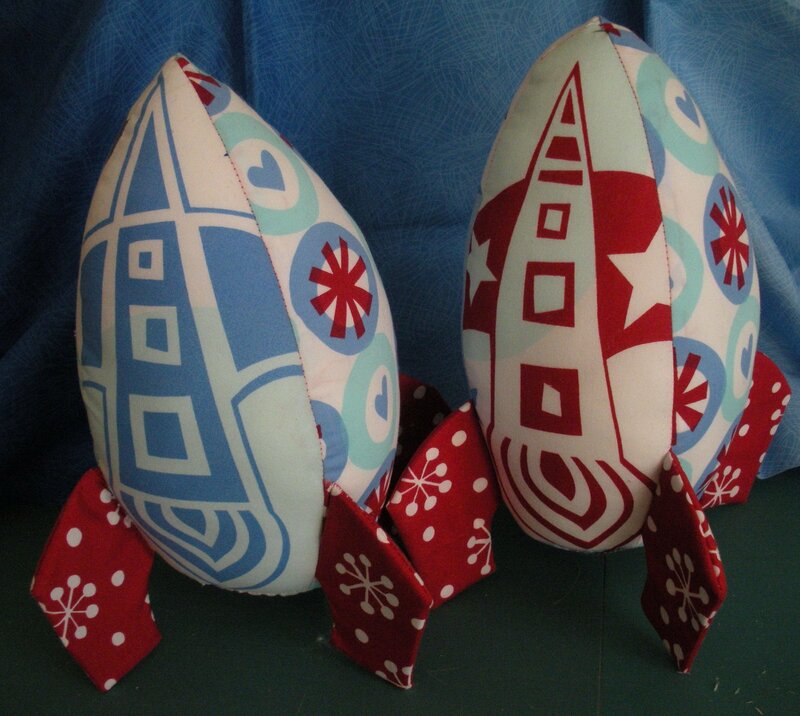 Anyhoo, I saw this pattern (FREE PATTERN) on thelongthread.com sometime this fall, and immediately went to Spool and snapped up the last two packages of their Rocket Man fabric packs to make these Christmas gifts for my nephews (1 and 3 years old). I finished these before Thanksgiving, and I’ve stayed mum about them ever since, even though I was dying to show pictures and dying to gift them! It’s a good thing we had our family Christmas early! The first photo up at the top of the posts shows the fussy cut rockets on the rear side of each Rocket. 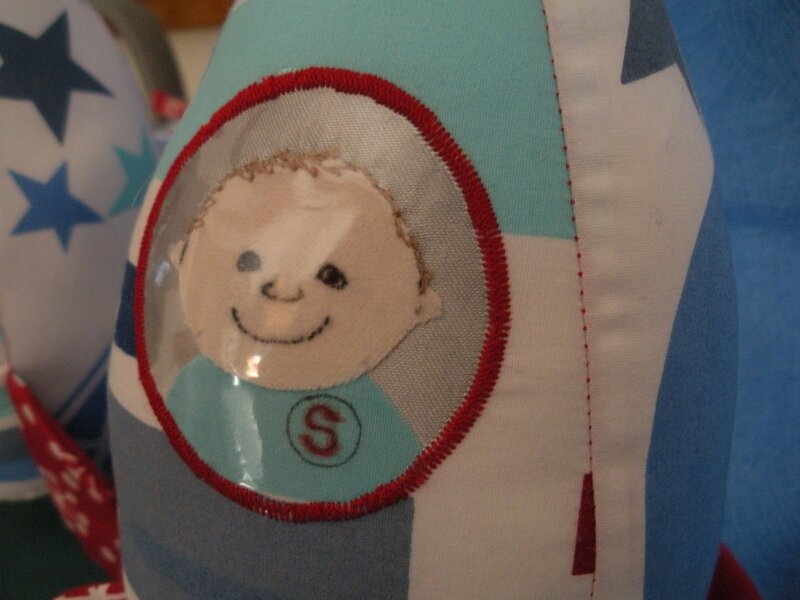 The second photo shows the circle “window” I added with a likeness of Samuel and Robby in their rocket. 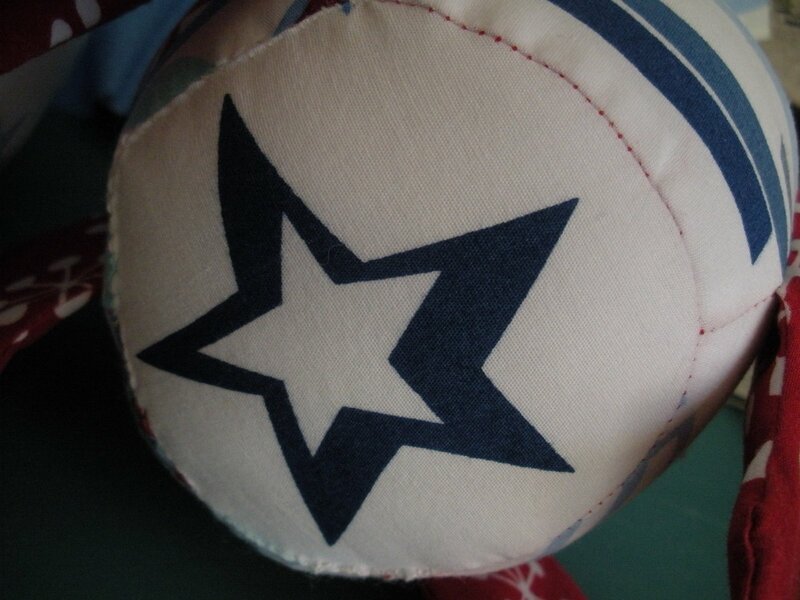 It’s a simple raw-edge applique against a silver silk circle, with a circle of heavy plastic over it, and satin-stitched around the edge for stability. Those are the cutest things I have EVER seen! Thank you, thank you for the link to the pattern- I have some cousins who’s children would LOVE these! 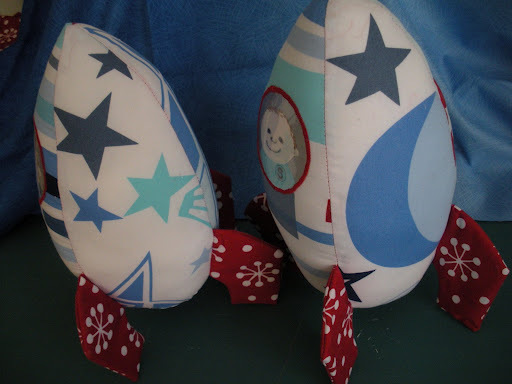 And I know what you mean about waiting to blog… I have 4 quilts I have to wait until 12/26 to post about!! They are great…I bet the boys loved them! I think there will be a lot of post Christmas blog entries of projects that were gifts! It was great to “meet” you this year and be part of a few swaps….wonder what 2009 will bring! Hope it is a fabulous year for you! aren’t those fun? 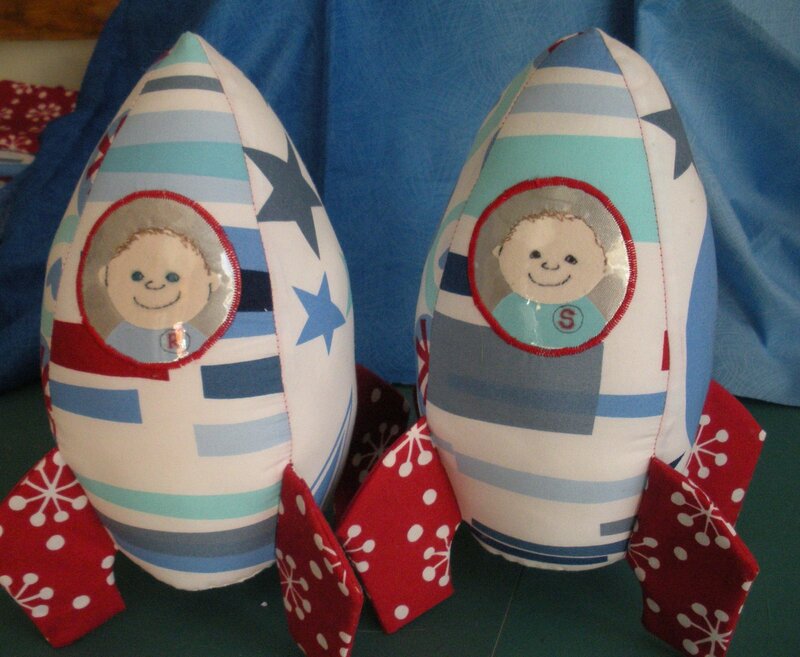 I had intended to make one for Jack (had no idea there was a rocket fabric pack? LOL), but never got around to it. Love yours. i agree with jennie. seriously the cutest thing i’ve seen all year!!! !